Loved this, we had a family vacation in Mt and did some camping just reminds me of our trip. It's for someone who loves to go camping. I had ordered 30 last year for Christmas and did not receive 9 of the 30 I ordered. They were for grandkids and great grandkids. They were better looking than I expected. They all match the individuals I bought them for. However, I was of the impression I was getting the buy 2 get two free deal. Being an 85 year old senior citizen I am always looking for a deal to save. My son and daughter love the R&R in front of the fire. My nephew and his wife are avid campers and hikers and Civil War reencators. My grandson is 15 and has been camping with his dad and papa since he was born. 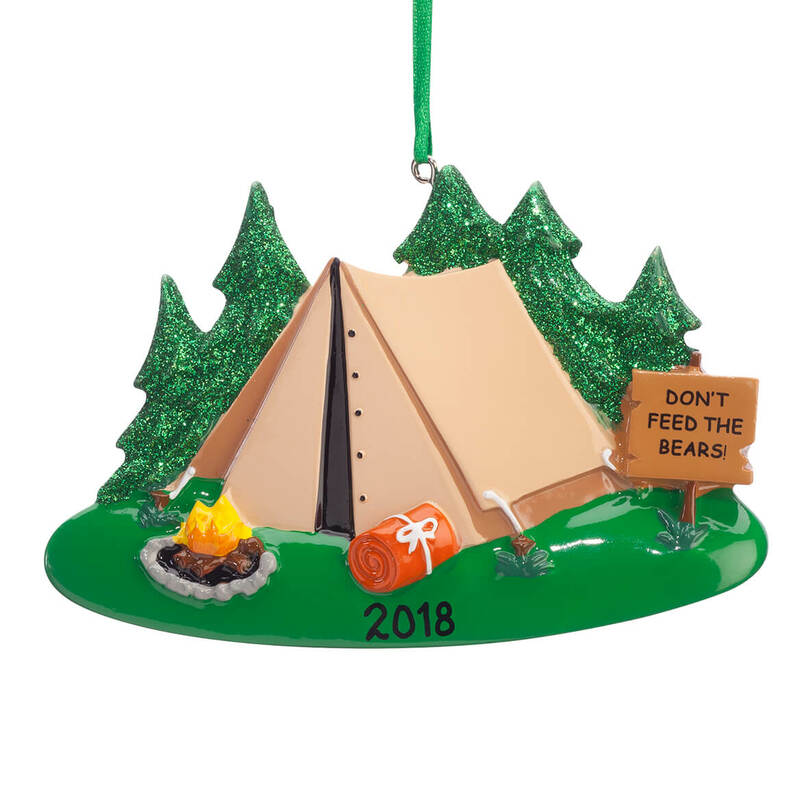 So happy to find the camping ornament. 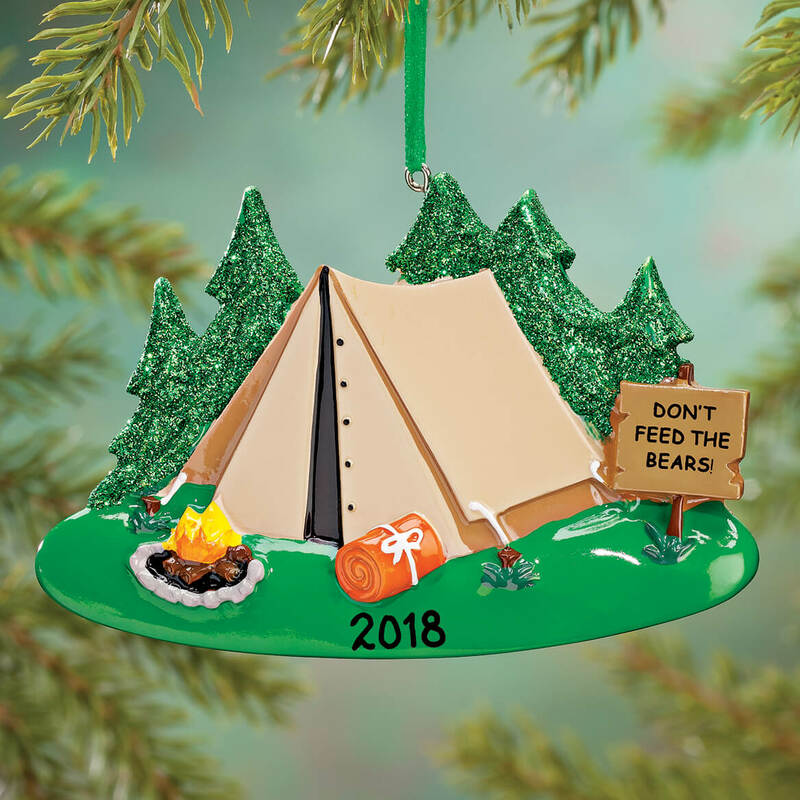 My grandson attended Cub Scout sleepaway camp for the first time this year and this ornament fit the milestone pretty well. Will the date be 2018? BEST ANSWER: Thank you for your question. You can choose the year and enter it in. The photo provided is an example of how the ornament will look when printed. We hope this information will be of help to you. Do any of your ornaments offer personalization for a family of 6? BEST ANSWER: Thank you for your question. Yes we do carry a few ornaments that can fit a family of six. Please clock on the following link to view them.